Franklin County PA Information and pictures of this mill, the nearby Hays Fording Double Arch Stone Bridge, the Witherspoon "Red" Covered Bridge, and working models of both a northern and a southern grist mill. Mardela Springs, MD This is the web page of Double Mills Inc. and their newsletter "The Mockingbird". Shedd OR This is the web page of the Oregon State Parks that contain the historic Thompson's Mills. Latrobe PA Saint Vincent College has preserved the original 1854 steam powered grist mill built by the founding Benedictine monks. The mill operates today, provides tours, a gift shop and coffee shop in the mill building. Warm Springs, VA This site provides history and photos of the historic landmark restored mill and inn. 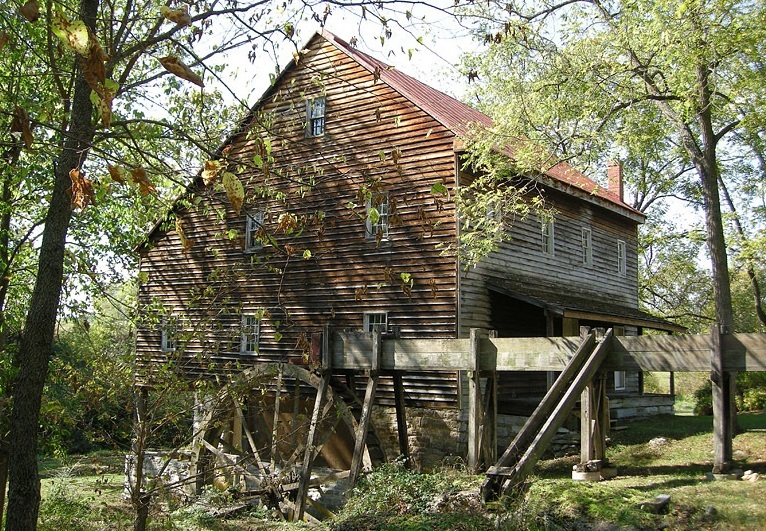 Raleigh NC This 1756 mill is currently the last mill of approximately 70 that were in and around what is now Wake County.